For nearly two decades Craft Cruises® has been inspiring travelers on enriching knitting trips all over the world. At Craft Cruises®, our primary purpose is to enable like-minded people to travel more and find greater enjoyment in activities they love. Craft Cruises® specializes in enriching knitting trips and has become the leader in orchestrating this type of travel for groups of all sizes. Our knitters visit many popular destinations onboard the world's leading cruise lines. In addition to working closely with preferred ocean and river cruise lines, Craft Cruises® works closely with only the very best tour operators in the travel industry to organize unique once-in-a-lifetime experiences with a keen focus on safety and security. Craft Cruises® also offers our single travelers participation in a share program that is unmatched in the industry. This program allows our knitters to save money on single supplements allowing them to take more trips and bring home more souvenir yarn. We are advanced-level travel experts who love what we do. We have many repeat cruisers, some of whom have been traveling with us since our first knitting trip back in 1999, who love our cruises and take many every year. The greatest reward for the work we do is the satisfaction we get from receiving so many word-of-mouth referrals from our happy knitters. There is truly no greater reward than the feeling we get knowing we are creating memories and friendships that last a lifetime. 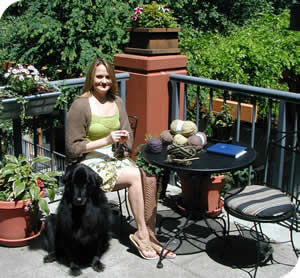 Craft Cruises® began in 1998 when the founder of Craft Cruises®, Melissa Gower-Pence, received two very special gifts for Christmas; knitting lessons and a trip to Stitches West in Oakland, California. During this trip the idea behind Craft Cruises® was born. Having specialized in cruise and group travel since she was 18 years old, Melissa, along with the support of a few top knitting instructors, organized the first educational knitting cruise for hand knitters. After our very first knitting cruise we had a naming contest and the winning name was the "Knautical Knitters". A clever play on the word nautical, several hundred knitters cruised with us before we decided to stop using that name to refer to our groups. Since then Craft Cruises® has arranged trips for thousands of happy travelers and has grown into a sustainable company offering numerous nautical knitting cruises every year. The idea behind Craft Cruises® is, and always has been, to bring knitters from across the country and around the world together for enriching journeys of learning, shopping, and sharing. Quality instructors are essential to each cruise. Instructors are selected for their excellent teaching skills, fun personalities and overall knitting expertise. Melissa Gower-Pence grew up traveling the world. Her Dad was in the Army for 21 years so it was only natural for her to become a travel specialist. Melissa started her career in the travel industry the year she graduated high school in 1987. While specializing in a variety of destinations Melissa has always been a cruise specialist and has many years experience as a professional event manager. While Melissa loves both the art of knitting and cruising, what motivates her most is the shared travel experience. Melissa earned her associates degree in travel and tourism from Northampton Community College and began her career at The Cruise Shoppe in Bethlehem, PA specializing in cruises and group travel. Within a short time it became evident travel was her passion so learning as much about the world she was selling became her primary goal. Melissa went on to earn a bachelor’s degree in international business focusing on foreign politics, economics and sustainable development from Cedar Crest College in Allentown, PA. Over the years Melissa worked in all facets of the industry and considers herself blessed for loving what she does so much. Her passion is to help others enjoy travel as much as she does.